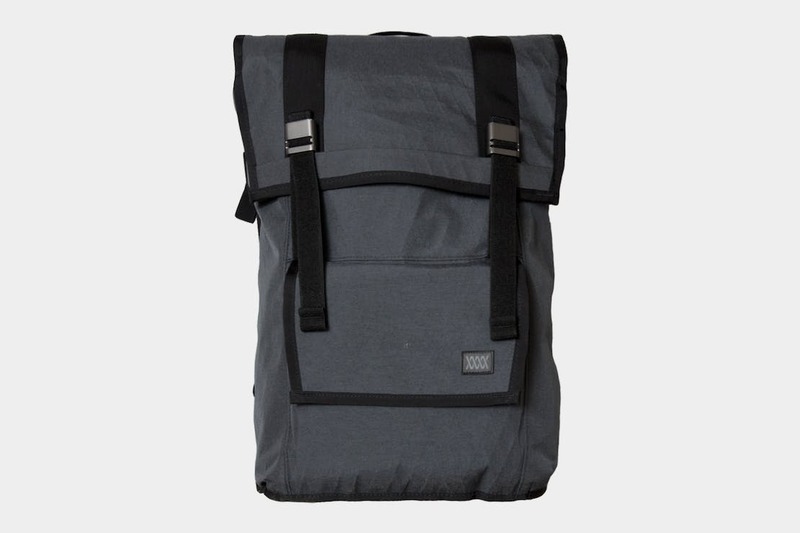 The Mission Workshop Fitzroy is a great toploader pack with a few unique features and a huge compartment that will fit anything your heart desires. We’re going to take a look at the Mission Workshop Fitzroy today. 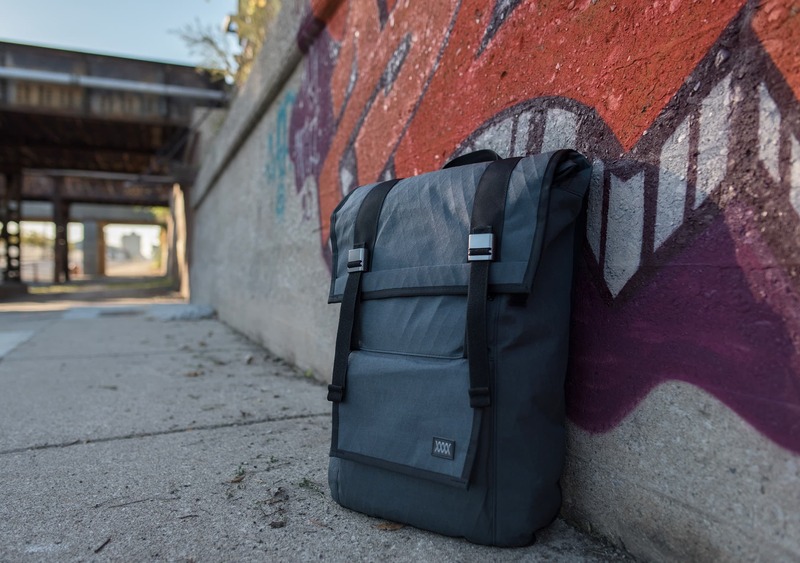 Instead of creating some overarching summary of this bag, we’re just gonna copy and paste what Mission Workshop has to say about it—because, to be honest, they sum it up pretty well. See? They really do sum it up nicely. “Impenetrable fortress” is a pretty bold statement though, so we had to check it out for ourselves. We really like the look of this pack. It’s got a unique, minimalist look with its toploader and buckle system. It sort of has the look of an old leather pack, but with totally modern materials—if that makes sense. The styling just works. The color we picked up is slate, but it’s available in black too. 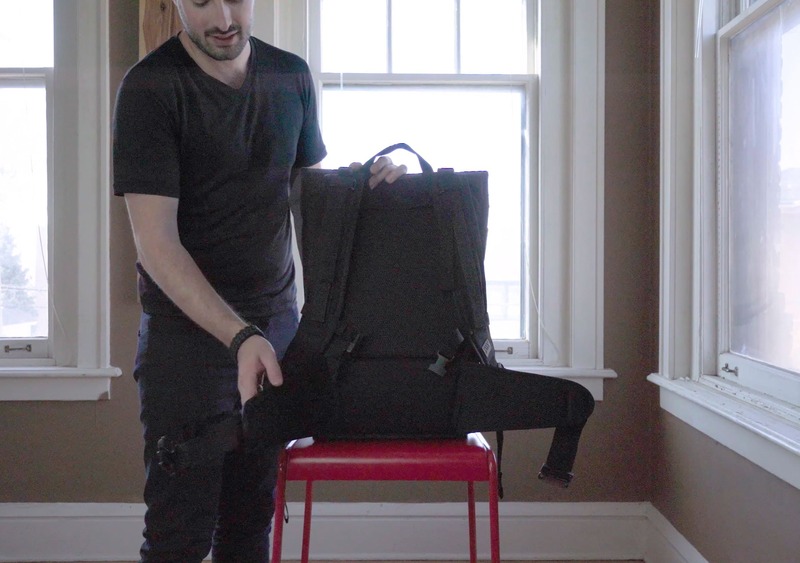 It’s got a nice rectangular shape, which provides an awesome layout for storage but doesn’t look quite as bulky as some other boxy backpacks you see on the market. You won’t feel like you have a huge suitcase on your back with this one. Mission Workshop prides itself on their “military-spec” gear, and this pack is made with 1000D VX Cordura ripstop shell backed with a PET waterproof membrane, which the U.S. military actually does use for some applications—so that’s cool. Because of the 1000D Nylon, this pack is super durable for its weight. 1000D Nylon also has great abrasion resistance, so you can feel comfortable tossing this thing on the ground without having to worry about getting scratches all over it. The nylon also gives this pack a pretty natural look—it almost looks like cotton, but when you feel it you can tell it’s serious stuff. The pack comes in at a grand total of 3.3 pounds (1.5kg)—which is pretty light considering the size and durability. 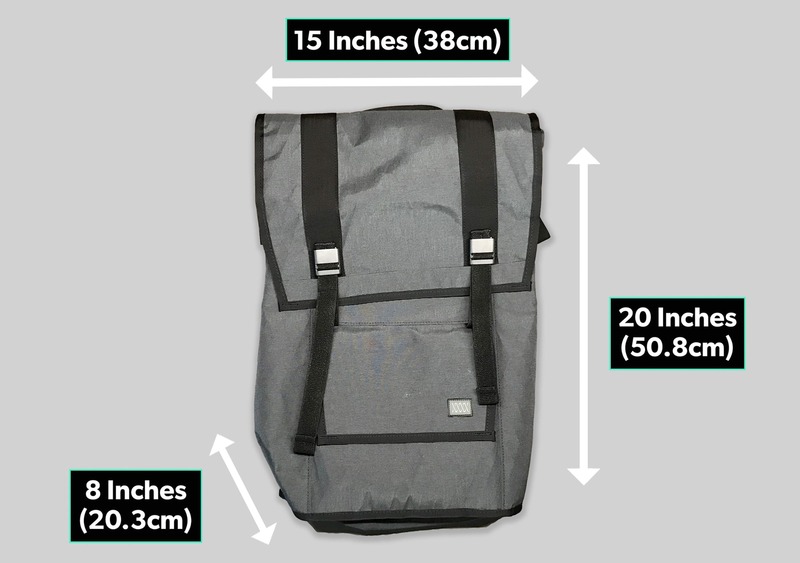 The volume is 40 liters, and the outside measurements are 15” x 20” x 8” (38cm x 50.8cm x 20.3cm). We’re not even going to try to explain which dimensions those are—just check out the photo below. The 1000D Nylon and all the waterproof zippers on this thing offer some great weatherproofing. Because it’s a toploader, you really can’t make the claim that it is waterproof—but we’ve found it does hold up to the elements well after testing in a decent downpour. Even if you’re caught in a pretty torrential rainstorm, you should be okay with the PET waterproof membrane. Alright, so let’s get into the nitty gritty. First up, those metal buckles on the outside. These things are part of Mission Workshop’s “Arkiv” system (pronounced archive). It’s sort of like their own proprietary MOLLE® system. Just like MOLLE lets you extend a pack, add on different items and customize it to your liking—the Arkiv system will do the same for Mission Workshop packs. These buckles are really satisfying to clip—not sure why, but they just feel nice. Once you attach the buckles you can tighten the toploader just like any other pack. The adjustment straps are also pretty elastic-y, which makes adjustments a little easier. Before we move onto the various straps, one thing we weren’t super thrilled with was the top handle. The shoulder straps are nicely padded, but the top handle is a thin piece of nylon webbing. We’re not concerned about it breaking or anything, but holding the pack by this handle can get really uncomfortable after a short period of time. A little padding would go a long way here. The shoulder straps, on the other hand, are pretty awesome. They might look thin, but they’ve got some really dense foam that makes them super comfortable. As far as adjustment goes, they’ve got the traditional adjustment straps on the bottom as well as some load-lifter adjustment straps on the top. If you’ve never used a pack with load-lifter straps, they are a serious game changer. You can use them to control how close the pack is to your back/neck/shoulder area, and by doing so you can improve the fit of the pack and distribute the load more efficiently. Plus there are some nice little velcro straps that keep the load-lifter straps in place. Those small details make a difference! The sternum strap is pretty standard—no Arkiv system, just a regular plastic buckle. 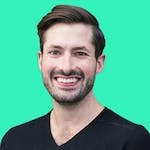 It works well enough, but we did notice that it can loosen as you’re wearing it—especially if you’ve got a heavy pack and you’re moving around a lot. So that… kind of defeats the purpose of a sternum strap. It doesn’t loosen all the way, but still. There is a hip belt, but it’s optional—you have to purchase it separately for about $34. This thing is HUGE. It’s like one of those big boxing championship belts, just without all the bling. It works really well, in that it takes a lot of weight off of your shoulders. The only caveat is that when you have it on the pack and you’re not using it, the two ends will stick out on either side of the pack. It’ll kind of look like you have a third set of limbs, plus they’re at the perfect height to whack some toddlers while you’re walking through the airport. We’ve found it’s best to just remove the strap if you’re not going to be using it. The good thing is—it’s super easy to remove. Just one little piece of velcro and you can slide it out. Will you need the hip belt? Well, ultimately it comes down to how much weight you’re planning on carrying. When it comes to these 36, 40 liter packs—it’s sort of borderline. 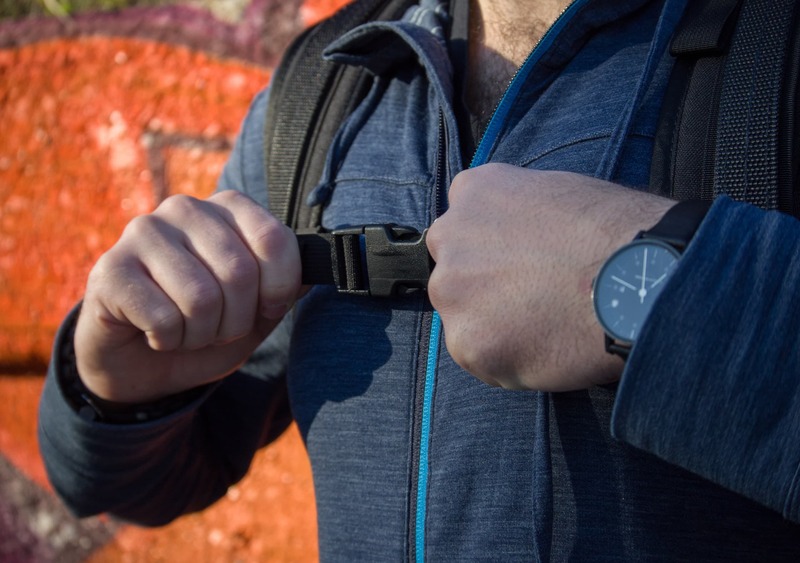 If you’re planning on carrying a lot of weight—camera gear, electronics—or carrying your pack over long distances, you’ll probably want the hip belt. If you’re gonna be doing some more casual traveling, you should be okay without it. And hey—some people really like hip belts, some people don’t. With a lot of this stuff, it all comes down to preference. But the guidelines above should help you figure out the optimal setup for your situation. 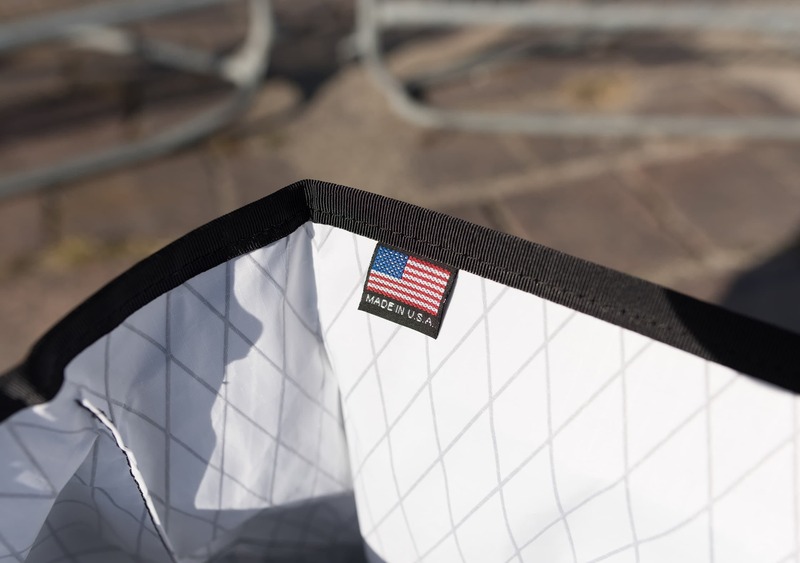 The back of the pack has some nice mesh-padded fabric with a lightweight internal frame sheet. The mesh/foam combo is thin, but pretty high-density—we found it to be really comfortable. The internal frame sheet is pretty minimal. It helps add a bit of structure, but nothing major. The inside of the pack is… *drum roll* … A giant bucket. Okay, there is a laptop sleeve. And a cool American flag “Made in the USA” tag. But other than that, it really is a giant bucket. Which is not a bad thing! The good thing about having one big compartment is that it gives you a lot of flexibility. We highly recommend using some packing cubes with a bag like this. If you’re just throwing folded clothes and toiletries in here, you’re gonna have a bad time. Good luck trying to fish out your toothpaste from the bottom of this pack. 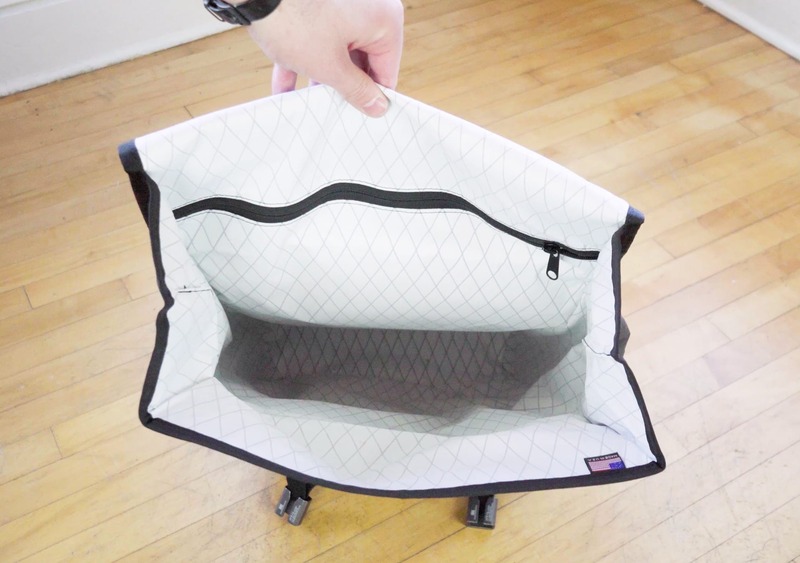 If you can grab some packing cubes, the giant compartment in this bag becomes really convenient and customizable. Depending on what you’re carrying, you can grab a bunch of different packing cubes, and because this pack is very rectangular in shape—you can really use the space efficiently by “tetris-ing” your packing cubes throughout the bag. If you’re not into packing cubes or you just want something with a little more organization—you may want to look for a different pack. Check out the Aer Travel Pack for some internal organization options. So besides the giant compartment, there is a laptop sleeve. PSA: The laptop sleeve has virtually no padding. If you are carrying a laptop in here, you might want to invest in a padded laptop case—we recommend a standard, no-frills Incase Classic Sleeve. Just take it from us—you don’t want to mess around when it comes to storing your laptop. Get some padding. To close the toploader, you sort of fold in the sides and just pull the top down. There’s some velcro on the inside so it will stay in place nicely when you pull it all the way down. One great benefit of toploader packs vs. clamshell packs is that the height of the bag can adjust according to what’s in it. If you don’t have much in this pack, you can crank it down which helps to lower the profile of the bag a little bit. If you’ve got a lot of stuff, you can just attach the toploader a bit higher up and it will accommodate whatever you need. Another added benefit of toploaders—no zippers. If a zipper breaks on your clamshell, you’re pretty much S.O.L. With this pack, the buckles are solid metal (not gonna break) and the straps appear to be really durable. On the outside are three pockets. There’s one free-floating, open pocket at the top that extends all the way down to the bottom of the pack. On the outside of that there is a small pocket with a nice waterproof YKK zipper. This one is only a few inches deep, but about 8 inches in length. Perfect for holding a wallet, keys, pop-tarts, that sort of stuff. 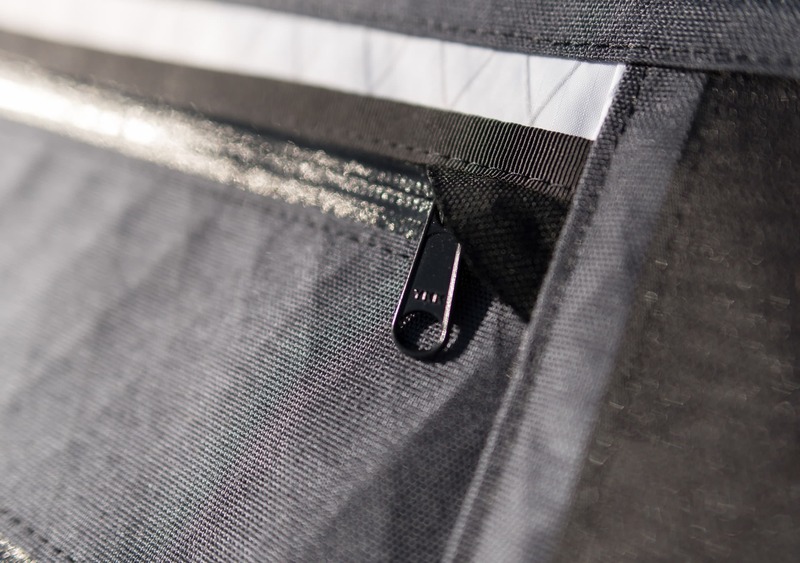 The next zippered pocket extends all the way down to the bottom of the pack—good for chargers and slightly bigger items, but nothing too bulky. The final pocket on the outside has a velcro flap and extends a little bit out of the pack. It’s got some nice lining and the velcro seems really solid. We’ve found this is a great pocket for throwing stuff in as you’re walking through security. It’s also the only pocket that will be accessible with the toploader closed up—you will have to unclip the buckles to get to the other zippered pockets. Although these pockets are great, be aware that they don’t offer room for bulkier items. They’re also all stacked on each other—by the time you get to that final outside pocket, there are three pockets already layered underneath it! So you’ll have to keep some flatter items in these areas. If you were to put any bulky items in the first pockets, the other pockets would be virtually unusable. We’ve been using this pack for about a month and it has held up super well. We’ve taken it on a few domestic trips and some longer hikes. But a month isn’t much in terms of durability testing, so check out the usage timeline below for some more up-to-date info. The key here is “as a result of defects in materials or workmanship.” So if this thing fails because of long-term use or anything that was a result of you using the pack—it’s probably not gonna do you much good. But it could definitely come in handy. Anecdotally, we’ve heard some great things about Mission Workshop’s durability so we’re pretty optimistic that this will hold up. Only time will tell. Works great—the Arkiv buckles take a bit of getting used to. Still in perfect condition, super durable. Detachable hip belt can get in the way. Laptop compartment doesn’t offer any protection. 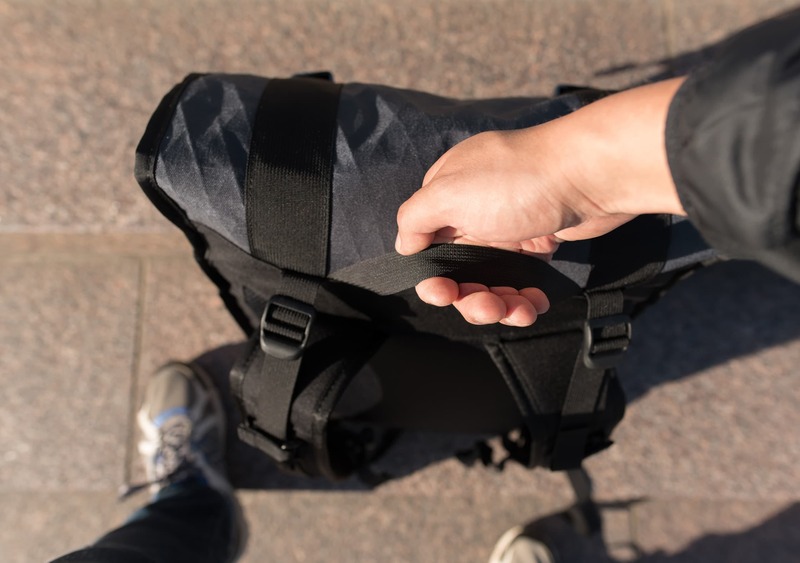 The Fitzroy from Mission Workshop is a very capable toploader pack—great for one-bag travel and some casual hiking/camping trips. It has very little internal organization, so we found that packing cubes are pretty much a necessity. Made of durable, weatherproof materials, this pack is comfortable to wear and easy to access due to the nice Arkiv buckle system. 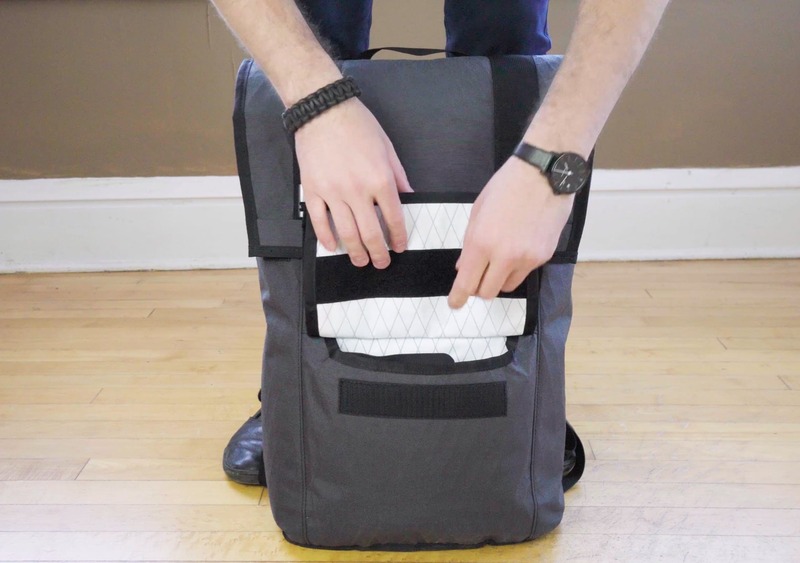 The lack of a padded laptop compartment is one of a few minor cons we found with this pack. All in all, this is one that will remain in our arsenal for some time.